It is a dream of every blogger to have huge followers and engagement on Social Networking sites. Social Media sites also represent the popularity of your blog or website. Hence, the more fans you accumulate, the more traffic you gain. When I first started the Proud Zones Blog, I also went through the same situation, because at that time I don’t know that posting blog posts on Social Media are not enough. So, I have used some professional tips and tricks to boost my Social Media reach and it finally worked! If it worked for me then it will work for you as well. 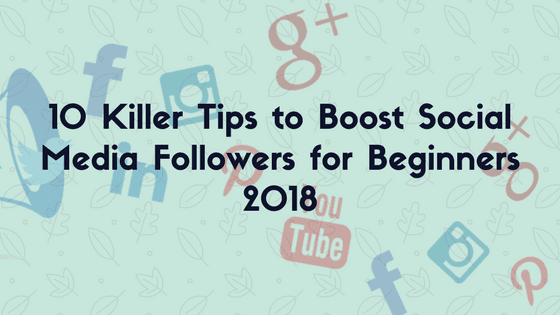 As a beginner, it becomes very difficult to grow your followers and engagement, especially for who is very new to blogging and Social Media. So, below I’ve listed out 10 killer tips to help you to grow your Social Media presence in no time. Here’s the list of 10 possible tips to boost your Social Media presence. Creating brief, unique and most relevant articles should be your main goal. Always focus on creating the most useful posts that peoples are actually looking for. Practice using Images, adding PDF files, videos, infographics, tables, charts, etc to make your piece of content go viral. 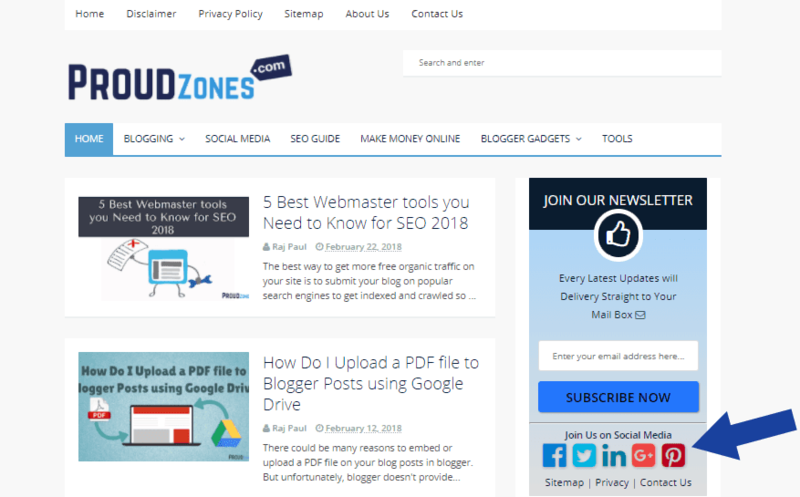 According to Experts, an informative post approximately contains around 400 to 1000 words with meaningful headings, hyperlinks, images, videos, etc to publish a highly engaging article for readers. Just make sure, you’re writing lengthy posts because long articles are often easy to rank higher in the Search results. I think you already know what a hashtag is and how it works. Hashtags can provide you great benefits for free in very less time period, it can help you discover new users with the same interest on the particular topic, make your posts more engaging, make new followers and fans, etc. You should always focus on creating eye-catchy headlines for your Social Networking posts so that people can willingly click and go to your website for reading that particular articles. For you can see the sponsored ad posts often get many clicks, likes, comments, and shares only because those posts are specially created to grab the attention of users to gain genuine readers for that specific post. As a beginner, you should always publish interesting posts regularly on your every social media accounts to grow your followers and fans. According to Experts, you should be posting 2 posts a day for the first months, 1 posts a day for the next 2 months and then you can update posts in a weekly basis to provide visitors the actual contents they are looking for. Just make sure, you don’t over publish a single post for more than 2 to 3 times. You must join various popular groups and communities on social media sites like Facebook, Google+, etc to get more exposure. Always participate in their threads and posts. Even some of them allow sharing your blog posts. Just make sure, you are not breaking their rules. You can also use the search box to find such kind of groups and communities. For example, if you want to join “travel niche related groups” then you need to search for “travel” in the search box, now choose the group or communities tab to filter your search. Once you find them, click the join button to join that group. In some groups, you may need to answer some basic questionnaires to get approval for that group. After answering the questions hit the submit button and later you’ll be notified whether you are allowed to join the group or not. Creating an official business page may help you grow your social media influence more easily. From your business page, you can easily write posts, share images, videos and in return get likes, comments, and shares from your followers. If you have a blog or website then adding a “follow us” social media gadgets can really help you out to convert your visitors into fans or followers. Embedding social media posts is a great strategy to get more likes and comments. Nowadays, every social networking sites allow embedding posts, so why not to use them! For example, if you are creating an article on social media, then embedding the post in your articles may provide the better understanding of the topic to your readers and in return, there are chances that the visitors may click the like button and leave a comment without leaving your site. For your ease, I have embedded an actual Twitter post. See how it looks like on a blog post. I think you already know how much time it takes to publish a post on your every social media platforms one by one. There are hundreds of different social networking platforms out there on the Internet and publishing your posts one by one on every social media sites will waste lots of time. So, to make this work easier, you can take the help of the best social media marketing or management tools to publish your post on every social media accounts with just a single click. This tools will allow you to publish a single post across all of your social networking accounts using a single dashboard and you can also schedule them to publish later on. Asking your friends, colleagues and family members to follow you on social media is actually a good idea to grow your fans and followers. According to me, its the easiest task among above methods. You can also use the invitation feature on Facebook pages to get likes to your page. I’m sure, your loved ones will surely help you out to increase your followers. Expert says, never use autoliker to grow your follower’s circle, especially if you’re working hard enough to increase genuine targeted followers. if you are using autoliker tools then there are chances that Facebook, Twitter, and other social media sites may block your account or ban you permanently. The “token code” used in these tools is like a key to access your account and in any case, if some else gets your token code then they can access your account and do whatever they want. So, why to bear the unnecessary risk for few likes and followers, instead try hard, be more creative and apply all significant methods to grow your follower’s circle. Still, if you want to try out this tools, then here is the guide. In order to get more followers, you must perform the above 10 tactics properly to boost your social media reach. Once, you are done applying all the methods, wait for few moments and you will see a significant rise in your social media followers. Have you been using other tactics to increase your Social Media followers? Let me know in the comment box below and if you find this post useful, then don’t hesitate to share it with your friends, colleagues and family members.